SPEEL PRAHA, Ltd., is one of the leading developers and manufacturers of flight data recorders, aircraft monitoring systems, ground evaluation equipment, a whole software package for data evaluation in central and eastern Europe. The latest techniques in production, quality assurance as well as combined know how of both original "Eastern" and most modern "Western" technologies guarantee the high reliability and safety standards compliance of the company's products. Beside its activities in avionics, SPEEL also manufactures Electronic Tachographs for subway and rail vehicles. Currently SPEEL supplies the entire subway in Prague. 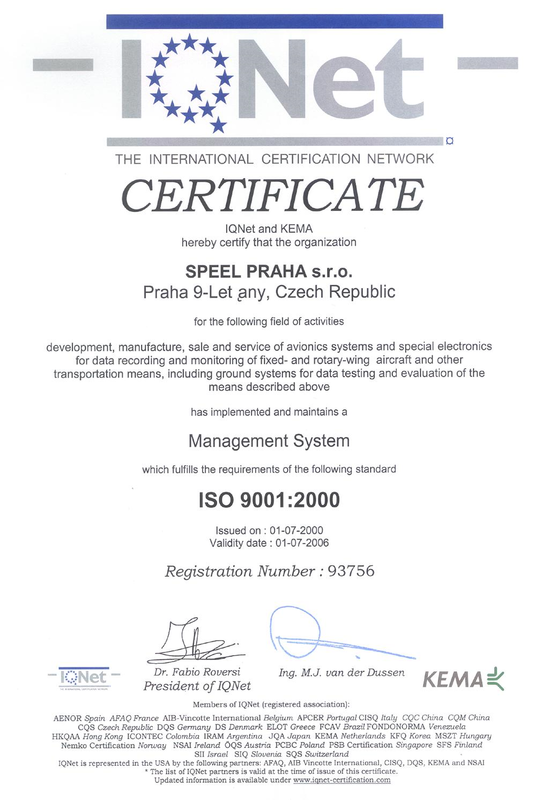 SPEEL is an ISO 9001 registered company, and holds the Civil Aviation Authority (Czech UCL) production approval of electronic aeronautical products. More than 3 decades of experience in avionics and aircraft diagnostics are invested in our products and services. In 1960 the company, then part of the aeronautical and research institute-Prague, started up with the development of mobile automatic test equipment for the famous L39 jet trainers manufactured in the Czech Republic. The equipment was in series production till 1988. Since the beginning of the 90s, the company has been developing and producing a range of solid-state flight data recorders with crash-protected memory unit for rotary- and fixed- wing aircraft. Today, SPEEL is a growing company which utilizes state-of-the-art technology in its product line OF FDRs/CVRs, aircraft monitoring systems, PANDA Software Package, as well as a complete ground support equipment for flight data replay and analysis. As a mid-sized company, with highly qualified engineers covering all the areas mechanical drafting and machining, to electronics design and manufacturing, and all the way to firmware/software development, SPEEL offers its customers flexibility and promptness in solving specific problems, possibility of small series production of developed devices, high technical level of development and production, including software, commercial reliability, experience with international cooperation, and last but not least competitive prices. The company ensures warranty and post-warranty service for all delivered devices and software. 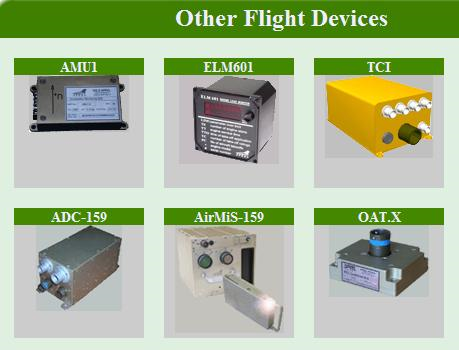 AIRCRAFT MONITORING SYSTEM "PMS 39"
DOS version for MS-DOS consists of SW59A software and TEST-L evaluation system. It is verified and well-established software system. WINDOWS version for WINDOWS operating system. Integrability - PANDA software guarantees the possibility to integrate all FDR recorders and many of other recorders which repeatedly send recorded data in blocks. This way, data from all types of recorders can be processed by one evaluation system. Another advantage is that the evaluation software works under one user environment (according to the used operating system) and the user does not have to master various evaluation software sets. Extensibility - new program modules could be integrated into the PANDA (e.g. monitoring the service lifetime of an engine or an airframe). The new modul must fulfil all conventions used in the PANDA system. The module listings corresponding to a choosen recorder or aircraft are presented at the page Configuration of PANDA modules. The modules that use PANDA data files provides only SPEEL PRAHA Ltd. company on grounds of order. PANDA software set is an universal evaluation system that makes possible to process, evaluate and analyse the data from flight data recorders and monitoring systems.